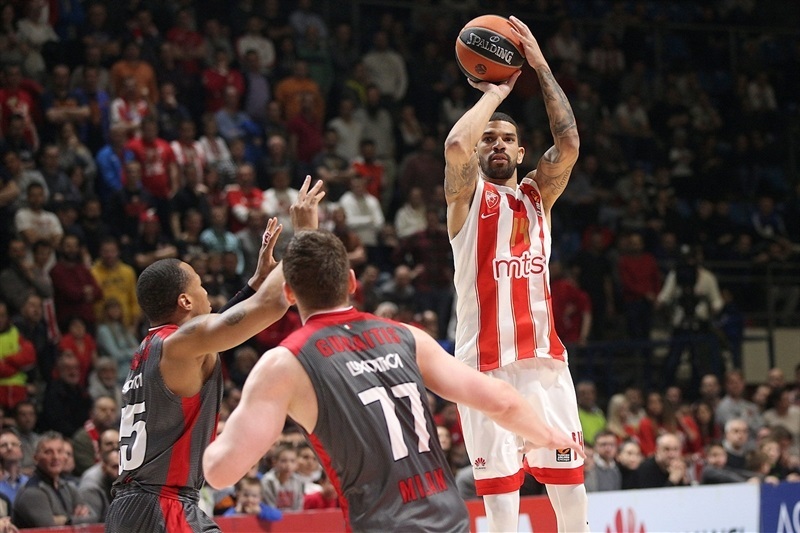 Crvena Zvezda mts Belgrade kept its slim playoff hopes alive with a comfortable 100-89 win over visiting AX Armani Exchange Olimpia Milan on Friday in the Serbian capital. Zvezda matched its club record for points in a non-overtime game and improved to a 9-13 record, which is three games behind the eighth and final playoffs place in the standings. 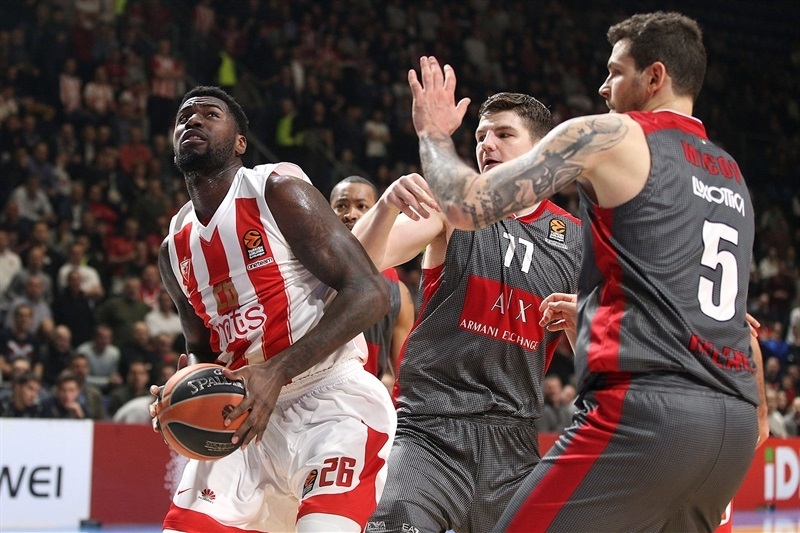 Zvezda, which dominated the boards 31-21 and pulled down 14 offensive rebounds, took control with a 12-0 second-quarter run, and Milan barely threatened despite a balanced attack with six double-digit scorers. 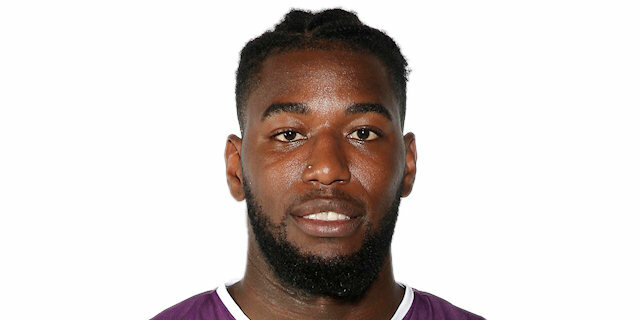 Mathias Lessort had 15 points and 10 rebounds, while Stefan Jankovic also scored 15. Taylor Rochestie had 14 points and 9 assists. 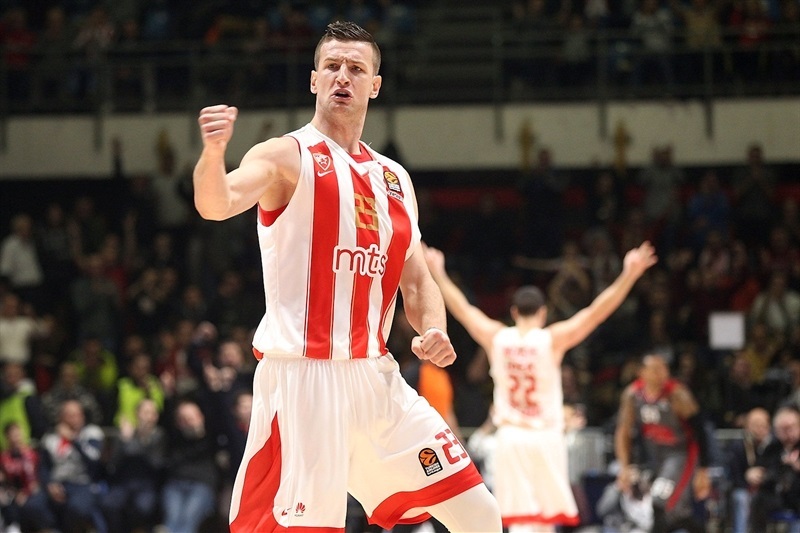 Alen Omic added 11 points, while Nemanja Dangubic and James Feldeine contributed with 10 apiece in victory. Mindaugas Kuzminskas had 17 points for the visitors, Andrew Goudelock added 15, and Jordan Theodore had 13 points and 8 assists. 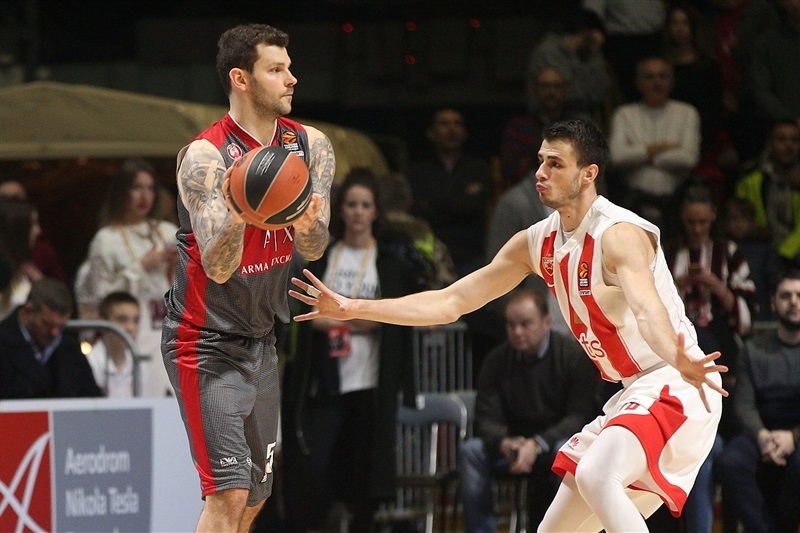 Vladimir Micov with 11 and Dairis Bertans with 10 were also in double figures for Milan, whose record dropped to 7-15. 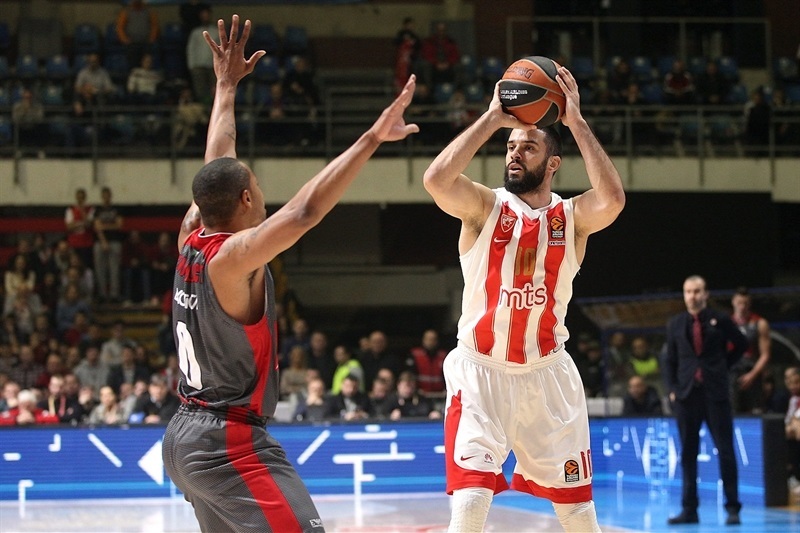 Milan opened the game with Theodore, Micov and Goudelock knocking down a triple apiece to make it 4-9, but Zvezda answered right back with a 11-2 run during which Milko Bjelica and Rochestie hit from long range to put Zvezda in front 15-11. 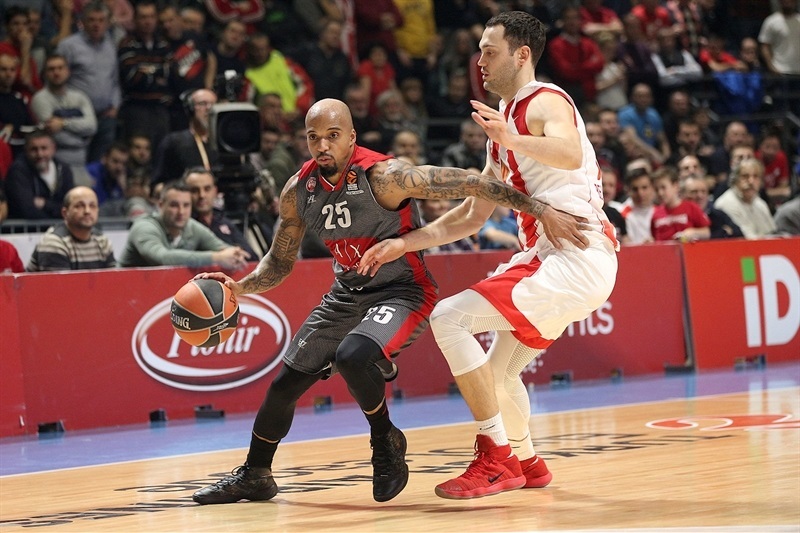 Omic and Bjelica helped the hosts to a 23-20 lead after the first quarter, but Curtis Jerrells took it to the rim twice in the second, before Bertans helped Milan regain the lead, 27-28. Zvezda replied by scoring the next 12 points, however, as Lessort and Dangubic combined layups and dunks before a triple-plus-foul by Ognjen Dobric made it 39-28. Bertans snapped the run with a triple, and Goudelock had a three-point play to cut into the deficit. After Rochestie and Kuzminskas traded three-pointers, Micov and Goudelock scored from close range to make it 50-45 at halftime. 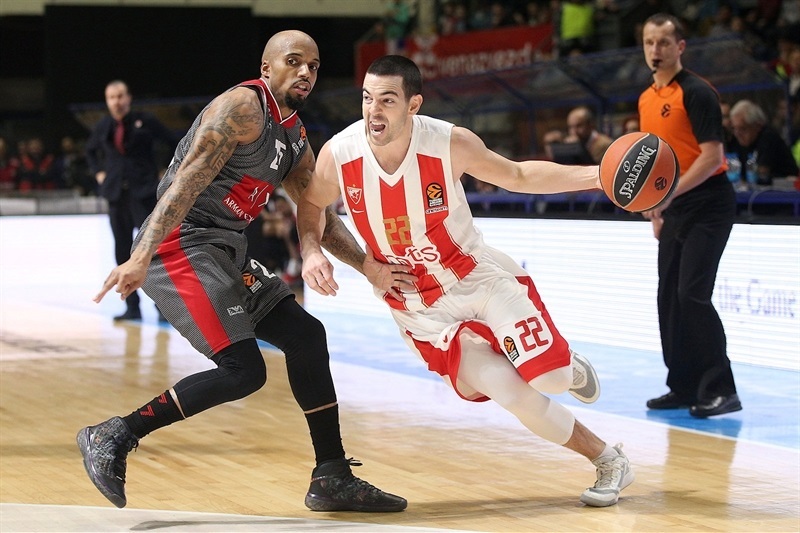 Dejan Davidovac hit a three-pointer and a tough runner to increase Zvezda's lead to 57-49 after the break. Micov hit a pair of baseline jumpers on the other end, but the hosts increased the margin even more with fastbreak layups from Dangubic and Bjelica that made it 64-53. 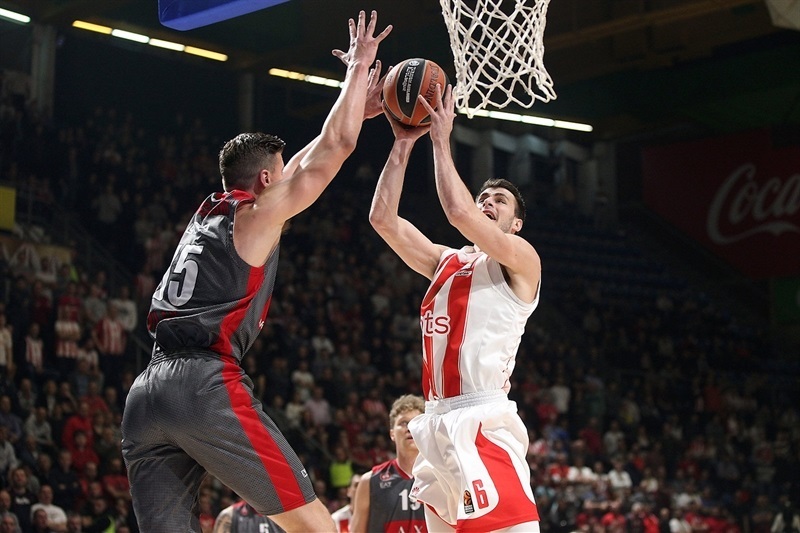 Kuzminskas answered with a three-pointer, and even though Jankovic hit one from way downtown for the hosts, Gudaitis with a dunk and Kuzminskas with another triple trimmed the lead to 69-65 in the final minute of the third quarter. But Lessort took it to the hoop before that minute ended and Jankovic scored 4 points in the opening 40 seconds of the fourth quarter. Then Feldeine's triple and Lessort's dunk opened 82-69 lead with 7 minutes to go. 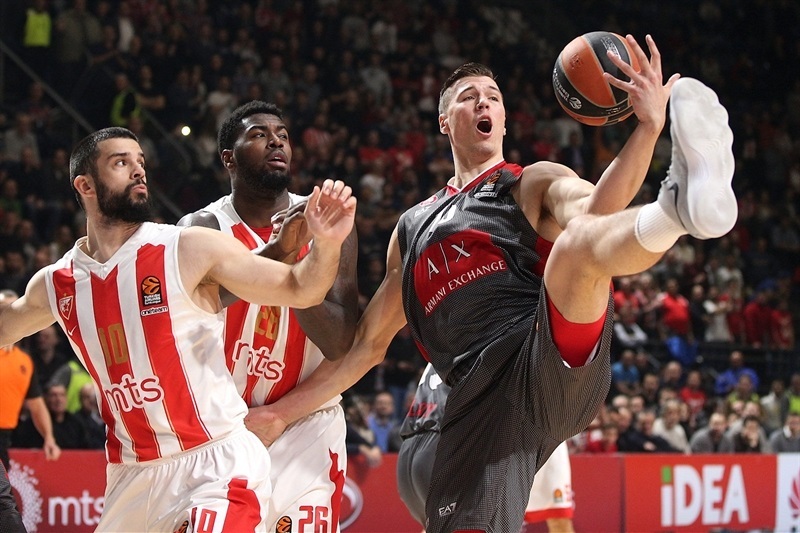 Bertans had a four-point play, but Jankovic and Branko Lazic lifted the margin to 93-77 and the hosts continued cruising to victory. 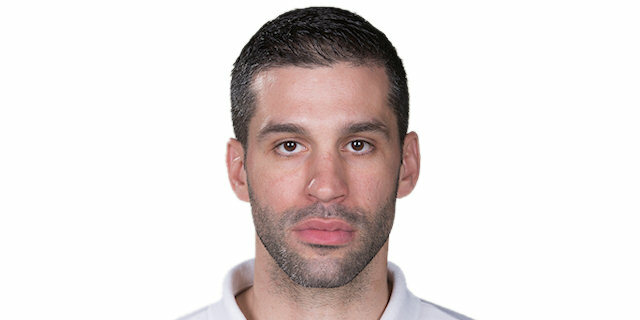 “It is a very important game, especially because it is our last game in the EuroLeague before the national cup. We were obviously much better on offense tonight, and we have things to improve on defense. But I am very satisfied with this win. It was a great game for us tonight, with 22 assists and good energy on both sides of the ball. 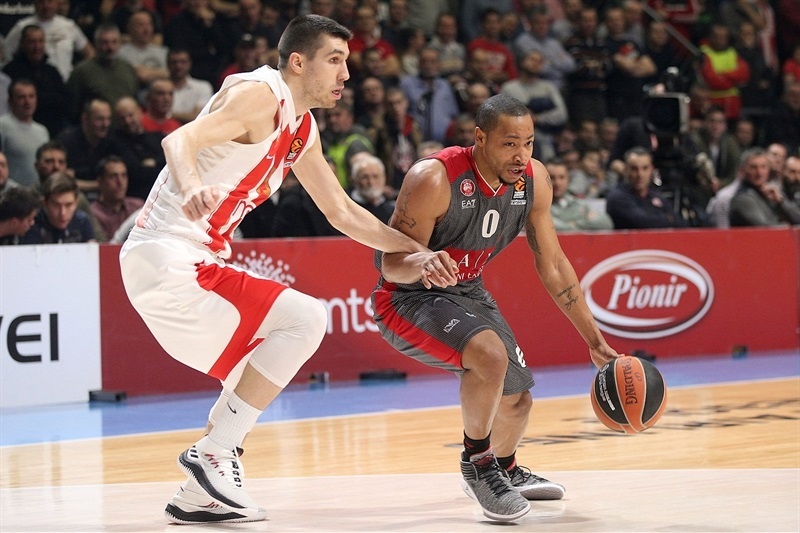 Talking about defense, it is hard to hold Milan to low scoring numbers, with players like Goudleock, Theodore, Micov, Jerrells. It is hard to hold that backcourt to low scoring and save enough energy to remain fresh and play on offense like we did tonight. In addition, it is important for us to beat Milan twice this year, especially considering their run of wins coming here, including on the road at Baskonia and Barcelona. It is important for the winning character we want to build that we kept a consistent level the entire game. We have improved throughout the season because our bench players have significantly improved and their roles have increased compared to the start of the season. That’s why I consider that we are better and that we improved." "We won our last two EuroLeague road games, but we are not consistent and not solid enough to win on a court like this, because it is a different atmosphere. This season, six of our seven games we won are against the Spanish teams, because we played good basketball. 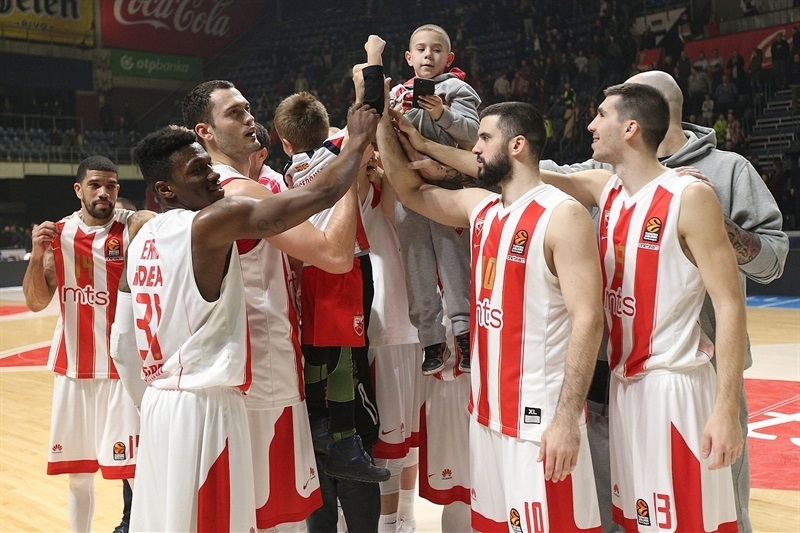 But to win in Belgrade we need something more, to fight more inside, to be solid, to not let them run fastbreaks. It is something mental, first, and then it is about toughness and how we resist inside. We have too many EuroLeague rookies on our team, but we are improving, we are working. We are better now on offense. We moved the ball in the right way against a good defensive team tonight. We missed some free throws and some open shots, but we created problems. Our problem is we are not consistent to protect the paint inside. It is clear, we need to be more solid and more consistent to have a chance to win on a court like this."